Zigkor Tours & Travel is certified tour operator based in Bhutan, run by a dedicated team who share a vision of making each tour an authentic experience. In keeping up with our name, we believe ourselves to be the pioneers of the tourism industry in Bhutan. With more than 15 years of experience in the industry, we have built a reliable network of hotels, resorts, restaurants, and guides, who are highly knowledgeable and certified by Tourism Council of Bhutan. Our network also expands beyond Bhutan. We cater to your intellectual curiosity as well to booking your international flights and arranging tours in neighbouring countries. As avid travellers ourselves, we ensure there are no hidden costs to any of our tours and that we internalise the value of customised itineraries. Rebecca is the first female architect of Bhutan and currently serves as the Vice-President of Bhutanese Institute of Architects. 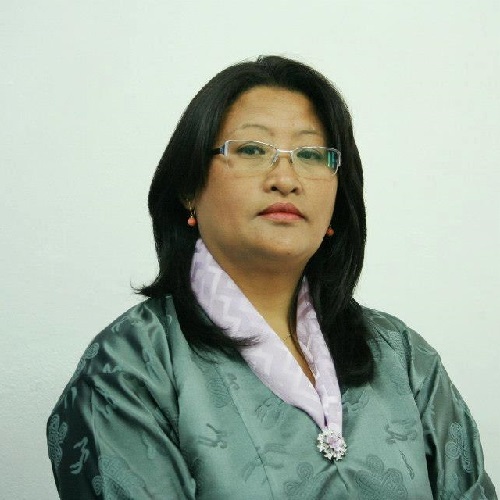 She initially worked in the Royal Civil Service of Bhutan where she contributed to notable projects including production of first documentation drawings of Trongsa Dzong, restoration of Dzongchu of Punakha Dzong after the flood in 1993, and served in the design teams for Chukha Dzong and Khamsum Yulley Namgyal Lhakhang. Some of her private venture flagship projects include prominent buildings of Anti Corruption Commission, Election Commission of Bhutan, and Wangchuck Centennial Park Head Quarter in Bumthang amongst many others. She was the country technical advisor for the GNH Center in Bumthang and is currently spearheading Khedrupchen Rinpoche’s projects in Trongsa. In addition to her passion for design that balances spirituality, nature, tradition, and progress, she is also an avid nature lover as is evident from her garden and love for animals. With Zigkor, Rebecca has found a fair and affordable platform to share her passion for architecture and nature in Bhutan.